I wouldn't go into this album expecting an uplifting experience. I don't think that's a bad thing; sometimes when you're at your lowest, you need to listen to music that's down there with you. 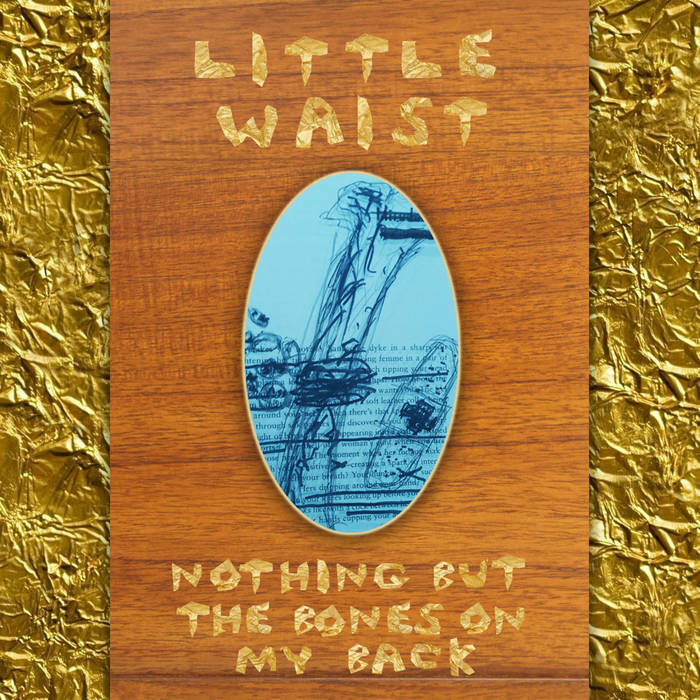 As you'll hear on the first episode of the podcast later this week, Little Waist (who also performs as Audre Other Way and Audrey Zee Whitesides) came to me at a difficult moment. Like, crying on the bathroom floor of the venue-difficult moment. Audrey's performance was, for me, the highlight of last July's Another Country festival, which featured virtually everyone in New York's queer country scene and beyond. Nothing But the Bones On My Back might be best described as bedroom punk. The driving melodies and occasional group vocals and strings make the songs feel plaintive, fitting Audrey's often brutal depictions of depression. "Moment of Silence / 2/23/15, Parking Lot" in particular shows the double toxicity of struggling with depression while trans* in a society that would prefer to wage a silent genocide than stand up for trans* and gender nonconforming people. I think the appeal from music that goes to those difficult places is that it serves as both a release for the artist and a reminder to the listener that, yes, even if one also goes to those places, there's another person who's able to get back up, stand there, and bravely proclaim their truth. Thanks for reading and listening! Please help us help you find great music! Subscribe to our Patreon or drop a tip in our Ko-fi cup today!